Perhaps the most radical change to Harvard Stadium takes place when football season is complete, with the installation of a removable dome-like "bubble,"" that allows for the year-round use of Harvard Stadium. 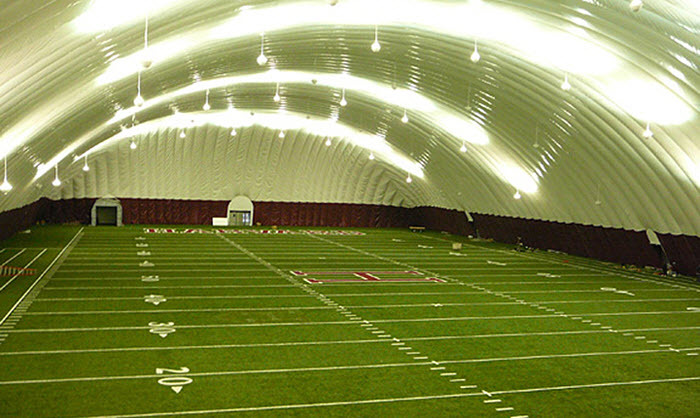 The bubble completely covers the playing surface from November until the spring, which gives the Crimson a fully functional home for winter workouts and spring practices. The bubble takes approximately four hours to inflate once it’s anchored to the Stadium infrastructure. Entrace to the facility is through a revolving door to maintain proper air pressure within the bubble, and the temperature is controlled at approximately 65 degrees. The facility provides for two complete baseball infields as well as four indoor batting cages and 12 pitching mounds for bullpen sessions. 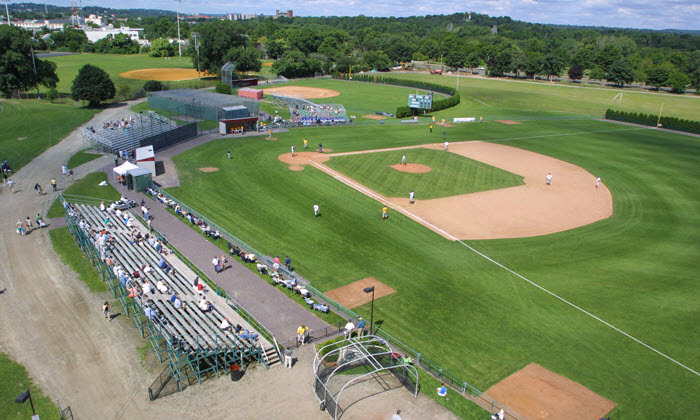 The bubble rises high stop Harvard Stadium and it tall enough to accommodate full-sized field activities for football, soccer, lacrosse and softball, among others.